The following is the transcript of our “Featured vs Sponsored” Localist Lesson. In this Localist Lesson, we’ll be breaking down when and how you can use Featured and Sponsored events to boost engagement on your platform. Featured Events. These events live in the Featured Events Carousel at the top of your calendar homepage or Channel. As such, the events appear to be officially endorsed by your organization. 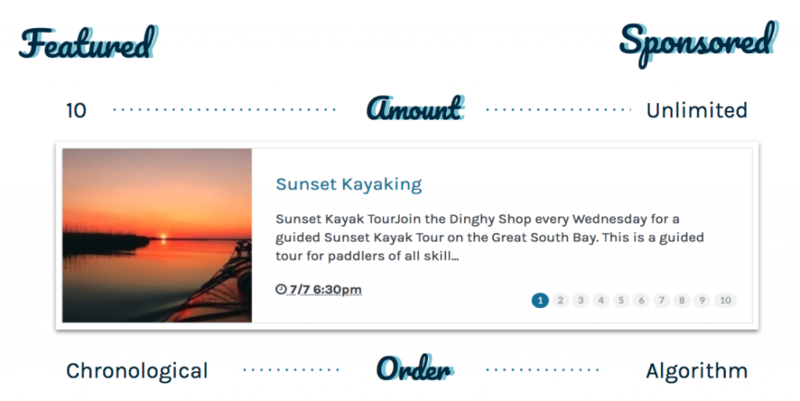 Upon page load the carousel automatically slides through each featured event, which cannot be altered at this time. While you can flag an infinite number of events as both Featured and Sponsored, your Featured Carousel will only display up to 10 events at a time. These events are displayed in chronological order and cannot be re-ordered. In comparison, there is not a defined cap on how many Sponsored events may be displayed in a trending list. And while Sponsored events are given a boost, the order in which they are displayed is ultimately determined by Localist’s trending algorithm. Who. In order to Feature or Sponsor an event in Localist, you must be an Event Admin with the added permission to Feature and Sponsored events. When. 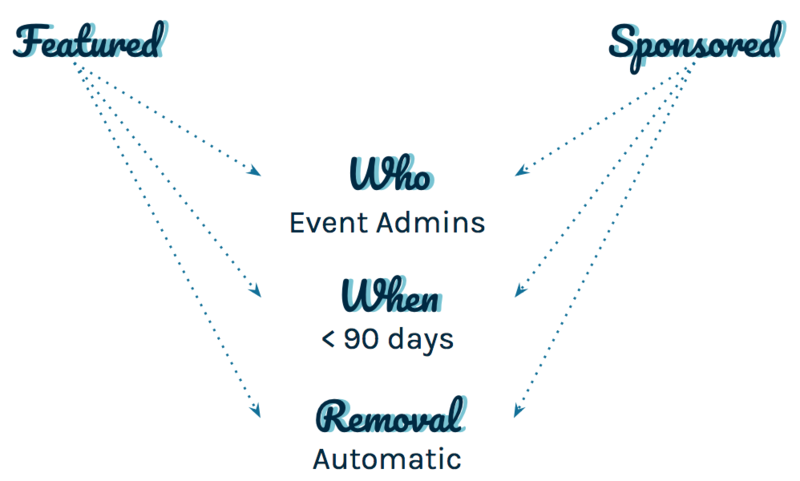 You can flag an event as Featured or Sponsored at any time, however, the event will not display in the Featured Events Carousel nor will it display at the top of your Trending events list until you’re within 90 days of the event’s start date. Removal. Once the event is over, it will automatically be removed from the carousel or the trending list. Sponsored events will always maintain their unique branding on your platform. When an event is assigned to the Event Spotlight component, it is given a prime spot on your homepage or Channel away from the rest of your event listings. Additionally, the event’s photo is enlarged to draw extra attention to the event. Select Add Component in the desired column and choose Event Spotlight. Start typing the name of the event and select it. Save Changes and you’ll be able to drag and drop the component anywhere you like on the page.